BRITAIN’S legendary Catholic convert Gilbert Keith Chesterton once said it was impossible to be fair to the Catholic Church without being fond of it as a consequence. A stint at a local newspaper prompted Chesterton to write a hefty 15-point defence of several truths on the Catholic Church. There he realised his error – he, a born and bred Unitarian, could not try to defend the Catholic Church without being pulled towards loving it. “But when that affection has passed a certain point, it begins to take on the tragic and menacing grandeur of a great love affair,” Chesterton wrote in his book, The Catholic Church and Conversion. In October of 2013, Peter Pellicaan made an ode to the wise English author when he handed in his resignation as a pastor for a Toowoomba church because he was beginning a love affair with the Catholic Church. Peter’s future as a pastor was almost a birthright, being the son of a Reformed Church minister, and grandson of one of Australia and New Zealand’s pioneering Reformed Church pastors, also named Peter Pellicaan. It was normal for Peter to watch his father preach on Sundays, baptise members of the congregation, and lead communion services. 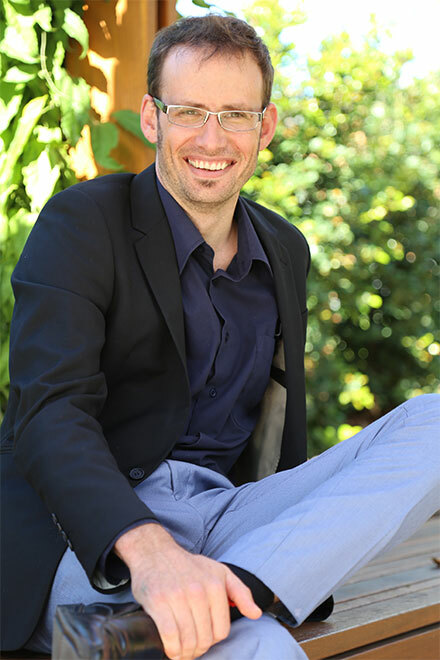 After a short run as a musician, he followed his father and grandfather’s footsteps and was ordained a Protestant pastor for an independent Christian Church in Rangeville, Toowoomba. Like his father, he preached, baptised and broke bread for the congregation for 10 years. It was in his third year as the Rangeville church’s pastor that Peter opened an email that would change his life. The email linked to an audio talk titled “How to win the culture wars”, by a philosopher who had also grown up in the Reformed Church, Peter Kreeft. “He had this way of talking about the world and God and life that captured our imagination, because it was the opposite of reductionism – it recognised mystery, and recognised that God is bigger than all of us and he’s everywhere and there are things about the world we don’t understand,” he said. He began devouring more of Dr Kreeft’s work, intrigued by this new but relatable theological vernacular. “We didn’t realise he was Catholic until about the third or fourth talk,” Peter said. In fact, Peter had only met a handful of Catholics up to this point, mostly what he called the “institutionalised” who occasionally turned up “trashed” at some of his gigs, boasting about their commitments to church the next day. Dr Kreeft was a revelation in this sense, a realisation that some Catholics were actually Christians. The Church’s teaching on contraception was the next epiphany. “In a Protestant environment, it’s just taken as that’s what you do – you get married; you contracept and, when you want children, you stop; and when you don’t want them again, you use it,” Peter said. Returning home: Former Protestant Pastor Peter Pellicaan on his journey into the Catholic Church. But one Jesuit, the late Fr Gregory Jordan, was running a series of talks on St John Paul II’s Theology of the Body in Toowoomba, showing a different set of truths. “It changed my life – just this whole concept of contraception, and all of a sudden seeing first-hand how it had impacted the way we thought as Protestants. Soon the Protestant pastor, who was now working for the Toowoomba church Christian Outreach Centre and thinking about his own future as a husband and father, was using Theology of the Body in the church’s school and eventually in his preaching on Sundays. The love affair Chesterton wrote of had begun in Peter’s life. He went from preaching on Theology of the Body to coming to understand the real presence of Christ in the Eucharist. He would take an hour or two a week to get away from the office and sit in front of the Blessed Sacrament. He also privately asked the Jesuit who introduced him to Theology of the Body to baptise his two children as Catholics. “Fr Jordan knew us well and he made us commit to becoming Catholic at some point,” Peter said. But, while he could still preach and do all other things a Protestant pastor does, he found he could no longer stand up the front of his congregation to break bread. “What becomes really confronting is when you’re up the front of the congregation and you’re starting to see the real presence of Christ in the Eucharist and you’re breaking the bread and saying ‘This is my body’, and you start to think, ‘I don’t think I believe the same things that the congregation believes’,” Peter said. This problem of authority and who could determine what is true was “a real conflict”. Historically it has caused more than 30,000 splits within the Protestant tradition, of which Peter has experienced three first-hand. “Then I just started deferring to the Catholic Catechism all the time because though I couldn’t say it in public, at least I could defend its authority,” Peter said. He quoted Karol Wojtyla, Joseph Ratzinger, Christopher West and the early Church Fathers in his preaching. “I had worked at the Church and school for five years and I was then at the church full-time in the sixth year as the campus pastor,” Peter said. He embraced what he called “career suicide” and resigned as a pastor. He sent a letter to Toowoomba Bishop Robert McGuckin requesting to be confirmed a Catholic, and on December 22, 2013, he and Leone were welcomed into the Church. It was not without inconvenience or shock from his Protestant family. “Especially Dad was pretty upset about it,” Peter said. His first real touch of the Eucharist to the tongue was “awesome”, but unlike previous phenomenological and profound Protestant experiences, it was also quiet, humble and “almost so ordinary but so real”. Today, Peter and Leone continue to learn what it means to be faithful new Catholics three years into their journey. 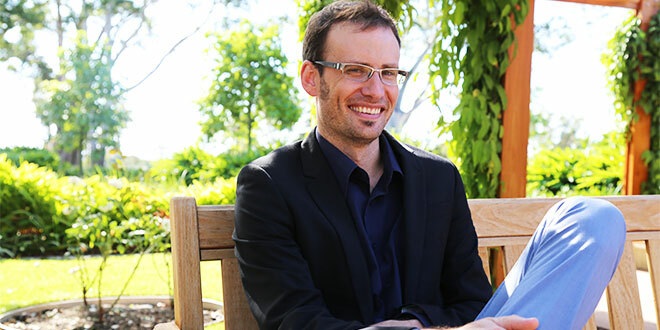 He’s completing a doctorate on the biblical theology of Confirmation at the Univerisity of Notre Dame, while working at Australian Catholic University. The pope of the family and his predecessor are very much a part of the family. “Fr Jordan baptised my third, Joseph John, named after John Paul II and Joseph Ratzinger (Pope Benedict XVI) because without those two theologians, he wouldn’t exist,” Peter said. And the Pellicaans are continuing to master Theology of the Body, caring for four beautiful children. “Thanks, John Paul,” Peter laughs.